minutes of good music and the first two tracks are enough to understand the good variety and complexity of Hemina. "This Hour Of Ours" is a short keyboards-driven intro with smooth vocals which preludes to "To Conceive A Plan", whose first half is an epic instrumental ride, and its second half alternates quiter phrases to more burning parts as learned from the '70s prog school filtered through the Dream Theater schemes. The music flows into "The Boy Is Dead", filled with emotion and and focused on the songwriting with great changes of atmosphere. "For All Wrong Reasons" is a relaxed ballad starting acoustic and featuring a tiny vocal duet between Skene and Jessica, then there's an impressive instrumental growth that brings us to the refined metal prog of "And Now To Find A Friend". 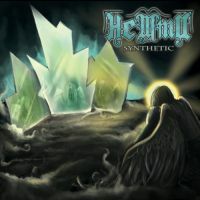 "With What I See" is raw and fast but with the ending part recalling of Pink Floyd, "Hunting Is For Women" sees Hemina dealing with some experiments in sound and structure, but "Even In Heaven" goes back to the beginning sound. "Conduit To The Sky" is a short bridge to "Haunting Me! ", nice dark prog metal that arrives just before the last song "Divine", thirteen minutes of imponent and well-crafted example of prog metal written and played with the heart and the mind.